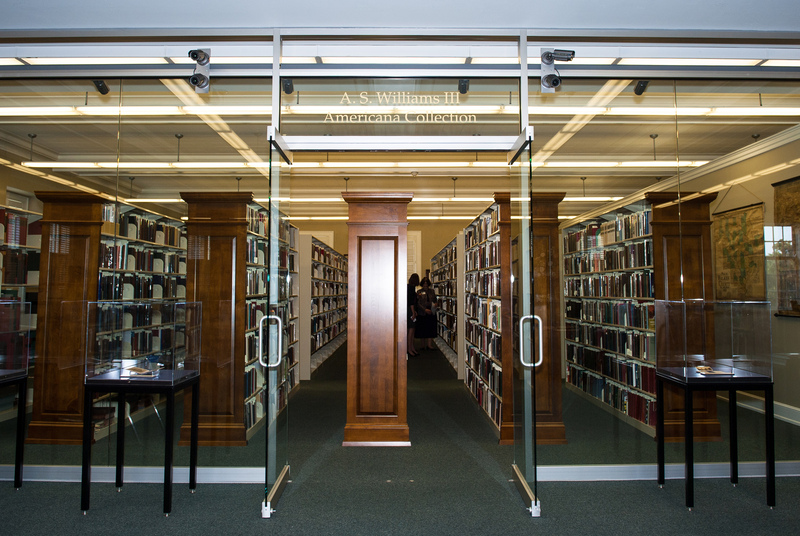 The A.S. Williams III Americana Collection is located on the third floor of Amelia Gayle Gorgas Library and is part of the Division of Special Collections. The Williams Collection was presented to The University of Alabama in 2010 by insurance executive and bibliophile A.S. Williams III. Since its donation, the Williams Collection has been maintained as a separate, non-circulating research collection within the library system. The collection includes rare books, manuscripts, newspapers, photographs, and artifacts from between the late seventeenth century and 2009. These materials predominantly focus on Alabama, the Civil War, presidential history, and the American South. We are open by appointment only, Monday through Friday from 9:00am to 4:30pm. Please contact us at at archives@ua.edu for an appointment, or for information about our holdings, activities, or if you wish to donate to the collections. The A.S. Williams III Americana Collection is a non-circulating collection. We have a few rules that all users are required to adhere to -- remember much of our collections are one-of-a-kind and require special levels of security and care! Thank you! Check in with the front desk and fill out our guest register completely. Paper, pencils and gloves are provided at the reading room desk. Note: Pens are not permitted in the reading room. If you would like to use your laptop, request permission with the front desk. Food and drinks are not permitted. Cell phones should be placed in the silent or vibrate position; do not take calls in the reading room out of respect to other patrons. We ask that you handle all materials with care and consideration. You may be asked to use gloves depending on the nature of the materials you are using.